The following INK Fellows have been chosen to represent the INK Fellows Community, selected based on an application and review process. Dr. Vivek Nair had stumbled upon a process to convert carbon emissions into carbon nanotubes (a material stronger than steel). His discovery led him to start a company focused on automating this process and turning carbon emission into a useable resource for many applications. 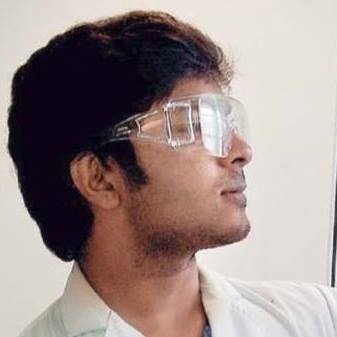 Vivek was named one of the today's disruptors and tomorrow's brightest stars by Forbes "30 under 30" list,for the year 2012 & MIT Technology Review outstanding innovators under 35, for the year 2012.He has also received the National award for meritorious invention from NRDC, Gov. of India. Vivek has also been named by Tehelka as "Tipping point - Architects of the Future", for the year 2012. He was also the winner of Ashoka/Staples Social Youth Entrepreneur award. In addition, Vivek is a double doctorate from Nanyang Technological University, Singapore & Loughborough University, UK . Elishai’s polymathic training in Electrical and Bioengineering, Life Sciences, History and Philosophy lead him to found Jerusalem’s Centre for Trans-disciplinary Innovation, looking at complex questions like the origins of life and alternatives to monetary economics. A recent graduate of Singularity University, Elishai has co-invented new medical interfaces like the ‘Glove Tricorder’ to seamlessly integrate technology into the patient-physician relationship. 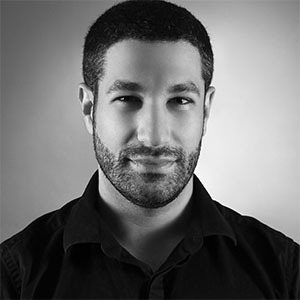 He is based at the Hebrew University where he is a PhD candidate for Bioengeering, teaches mathematical programming, and received the 2013 Nano-science and Nano-technology award. 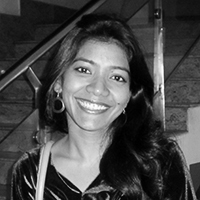 Madhumita Halder is the founder of MadRat Games, creators of the World’s first Indian Language word game – Aksharit (www.aksharit.com). She graduated in Computer Science from IIT Bombay and being an artist at heart, worked for a FX studio. However her creative energies not finding room for expression in the corporate world, she chose to work with children. She subsequently taught middle school children at an alternate education center for 4 years. 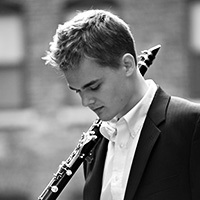 Shankar Tucker is an American-born clarinetist and composer who creates music that explores contemporary and traditional Indian sounds. He collaborates with other musicians to represent new generation Indian artists - bringing their music to an internationally and culturally diverse audience, both on- and offline. 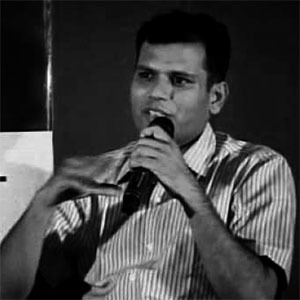 Sunil’s goal is to help Indians bridge the ‘language’ and ‘digital’ divides, due to the dominance of English on the internet and in technical published texts. He has developed digital dictionaries for mobile phones and computers with a repository of 9.6 million audio and textual words in 16 domains, like Legal, Agriculture and Pharmacy, in 22 different Indian languages. Educated in Marathi-medium in a village near Nashik, Sunil believes the root of the rural inferiority complex is the linguistic divide, due to which many abandon their education. He hopes to reverse this with his free platform. By the age of 25, Varun Agarwal was already a filmmaker, entrepreneur and the bestselling author of 'How I braved Anu Aunty & Co-founded A Million Dollar Company'. He is the co-founder of Alma Mater, India's biggest college apparel/memorabilia company, and also the co-founder of Reticular, a social media marketing firm. The pursuit of his interests brought about collaborations with A.R. Rahman, Preity Zinta, and many others. Vicky Roy ran away from home as child and became a ragpicker to earn pocket money. He found refuge at a NGO for street children where he met a photographer that changed his life. Despite his turbulent past, Vicky pursed his passion for photography in which he was selected to photo document the reconstruction of the World Trade Center in NYC. Today, Vicky focuses on helping the disadvantaged by giving them a voice through his photography.